Content marketing is competitive. In most industries, every piece of content you publish is competing with hundreds or even thousands of other pieces on similar topics already out on the web. Creating content is hard enough, but trying to figure out how to make your stuff stand out is even harder. You shouldn’t give up on content marketing because of how competitive it is. Stopping or pausing only causes you to fall further behind. What you should do instead is look for opportunities to create content that’s truly original and highly valuable. Easier said than done, right? That’s what everyone’s trying to do. But one type of content that consistently gets outstanding results isn’t something everyone’s doing: original research. A number of studies have confirmed that creating content around original research brings a number of compelling benefits. Earning backlinks is arguably the hardest part of SEO. Anytime another relevant, authoritative website links to yours, it’s a huge win. Shortcuts for earning links don’t exist. But a number of different research studies have found that original research is a solid way to earn more backlinks. In one survey of SEO professionals, it was ranked as the most efficient way to earn links. Another study found that it was one of the few types of content that performed well at earning links (along with opinion forming journalism). The same study that confirmed research-backed content was one of the few types consistently good for earning links, also found that it was useful for earning shares. While, in general, they found little correlation between links and shares—different types of content tended to perform better in each category—original research was a rare example of content that gets a lot of traction in both categories. Ultimately, the whole point of getting backlinks and shares is to get clicks. 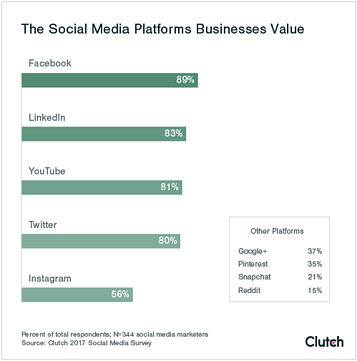 LinkedIn analyzed the status updates on the platform that earned the most clicks and determined that any time users included a statistic they saw a 37 percent higher click-through rate. It’s a way to stand out. Usually, as soon as marketing professionals figure out that a tactic works, everyone starts doing it, and the efficacy decreases due to increased competition. That hasn’t happened here. Less than half of businesses use original research in their marketing. Creating original research sounds intimidating, but it doesn’t have to be. It does require some time and work, but you don’t have to have an enterprise budget to execute. Here are three practical ways to create data that makes for awesome research-backed content. Most of the examples of original research we’ve included in this article were created this way. To start, figure out the best topic for your survey to cover. Think about the questions your audience and other people in your industry commonly have. Do some Googling to find out what questions have been covered by other research studies already. You don’t want to duplicate someone else’s results. But if the only results you find are pretty old, it may be worth revisiting some of those same questions (a lot can change in 5-10 years). Since you want your survey research to be valuable, take some time to get the questions right. Have a few people review them and weigh in so you can catch any issues you might be missing. Using a survey software like Survey Monkey or Survey Gizmo, create your survey and promote it to as many people as possible. 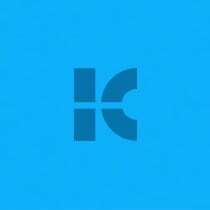 Share it on your own website, send it to your email list, promote it on social media, and send it to any relevant contacts in your network with a polite request that they take it and share it with their own networks. The more respondents you get, the more accurate and useful your results will be. This is a smaller scale way to create the kind of research that encourages links and shares. It may even be something you’re doing already. An experiment should start with a hypothesis—what’s something you’ve wondered about that you suspect your audience would also care about? From there, you create an experiment to test your hypothesis out. For example, you may currently have an email sign-up form that asks for four pieces of information: name, email, company and job title. The hypothesis for your experiment could be: removing the fields other than name and email will increase email signups. You can set up an experiment to do A/B testing (HubSpot makes this easy) and publish an analysis of your results. If you saw a 32 percent increase in sign-ups, someone trying to figure out whether or not they should reduce the number of fields on their forms benefits from learning about your experience, and businesses writing blog posts about ways to increase email sign-ups may latch onto your study, as well. That’s just an example. You probably don’t want to do that exact experiment, as it’s already been done a few times (and then written about in a number of places—with links back to the brands that did the original experiments). Come up with your own hypothesis and get to work. If you own a SaaS business, then you may already have the data you need to create research-focused content. The way people use your product creates constant data. Look at the data you have and cull it for insights to create content around. 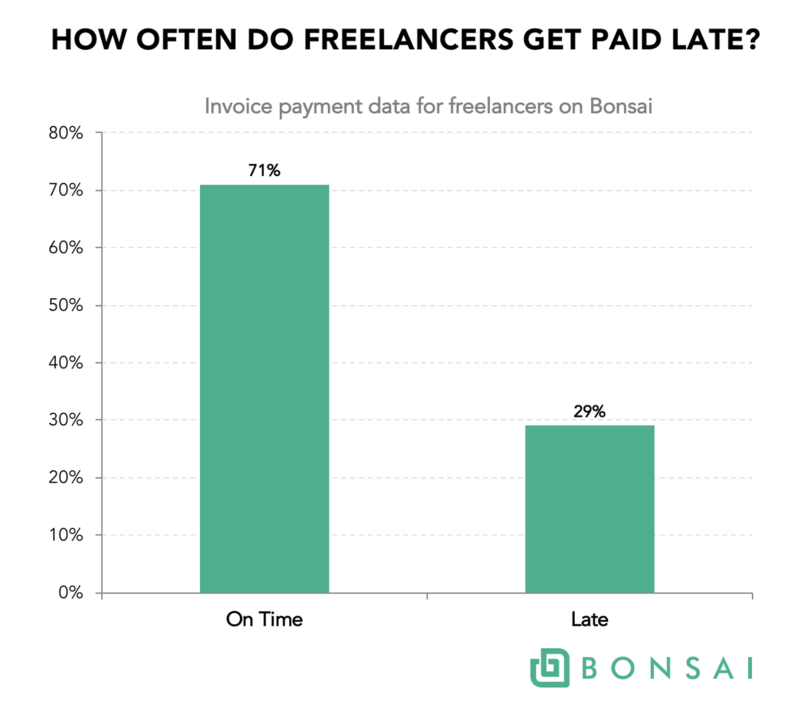 Bonsai, a company with an invoicing platform for freelancers, recently released data about how often freelancers get paid late and the factors that make a difference in late payment. The data is useful to their target audience of freelancers and has gotten coverage in outlets like Forbes and The Business Journal. Once you have your data, you want to get the most out of it. Create a content plan around publishing and promoting the results in formats that will get it noticed and shared. If you did a survey or ended up with a lot of useful information when you dug into your product data, then a good place to start is with a research report. This is typically a well-designed PDF that provides a mix of written analysis with visual data representation. 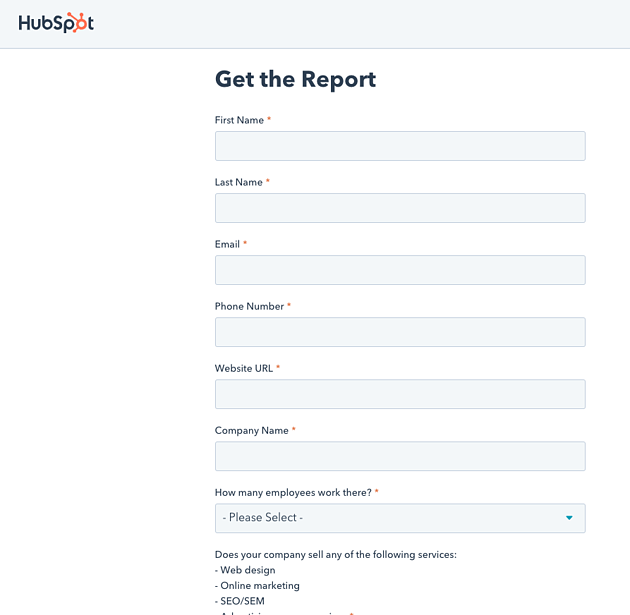 You can put the report behind a form if you want to use it for lead generation, or publish it to the web if you want it to serve as a tool to improve SEO and brand awareness. HubSpot’s annual State of Inbound report is a good example of this kind of content. One of the biggest challenges of blogging is regularly coming up with new topic ideas. The insights you found in your original research should provide some great new topics for you to cover. You could do a fairly comprehensive post that dives into much of what you found—in-depth long-form content often produces good results. That’s the route Clutch took when covering their Social Media Survey on their blog. At nearly 3,000 words, the post covers all the main takeaways of the survey results and provides a number of images visualizing the data that are easy to share. Alternately (or in addition), you could break it up into a number of smaller blog posts that reference different parts of the research. And you should look for opportunities in all your future blog posts to reference your data anytime it’s relevant. Every time you mention it on your blog, you’re helping to further promote it. This is a common option that encourages easy sharing. Pull out some of the best insights from your data and have a designer put them together in a great looking infographic. Infographics are often widely shared and can therefore help bring your original research to a much wider audience (and help you earn more links at the same time). 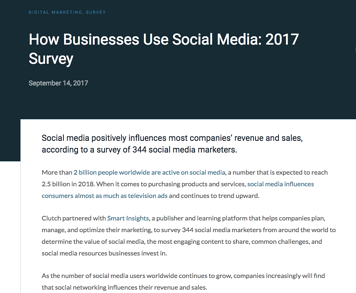 Animoto put the results of their social video marketing survey into an infographic that makes the lessons from it easier for people to take in and encourages viewers to share it on their own blogs or social platforms. Writing guest posts for relevant websites that share insights from the research and takeaways that are useful to the website’s target audience. For every website you write for, make sure your blog post is unique and tailored to the particular audience it reaches. Offering interviews to journalists or podcast hosts where you talk about your survey, the results and what it means for their audience. Doing blogger outreach by email and on social media, to let writers who cover topics similar to your research know about it so they’re more likely to cover it. Useful original research is worth a PR push. Look for journalists, podcasts and publications that cover topics similar to your research and start pitching. After Andy Crestodina published the results of his annual blogger survey, he went on the Copyblogger podcast to talk about it. As Copyblogger is one of the top websites for bloggers, he was able to reach a large and relevant audience likely to be interested in the results. Your off-site promotion will help you gain links and, just as importantly, bring the research you worked hard on to the audience it’s meant for. If you want to provide value to your target audience, earn backlinks and get attention in your industry, original research is a surefire way to do so. Figure out a question your audience has and get to work finding the data that answer it.